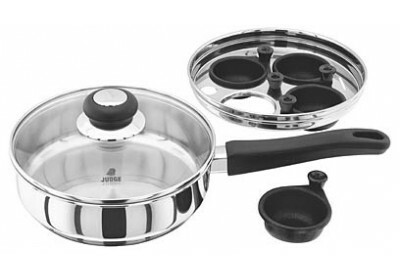 The Judge Kitchen Essentials Egg Poacher with 4 Non-Stick Cups allows you to cook up to 4 poached eggs at one time. 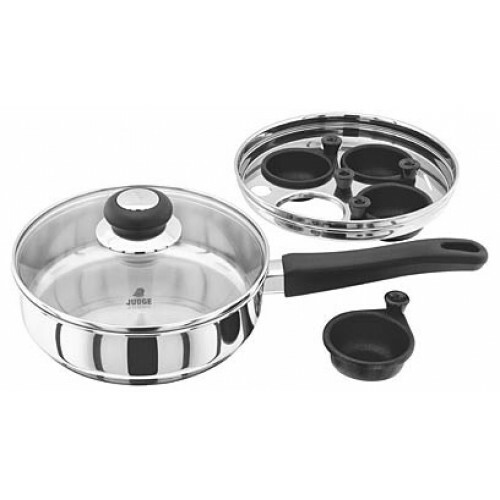 The egg poacher has a controlled steaming vented shatter proof glass lid and easy release non-stick poaching cups. It also has an easy grip, comfortable phenolic LHT handle.